As Christmas Day approaches, there is much secret crafting going on around here. I find myself sewing into the night and stitching on the ferry commute to work. More lunch break needle felting at the office keeps me in the holiday mood. Little hands are busy creating special gifts too and it is time to print some more of their lino-cut stamp Christmas cards! Soon I hope to have the crafting complete (at least the gifts, I am hoping there will be playful crafting time over the holidays). Then these hands will turn to baking some of our favourite family holiday treats — my Mom’s Nanaimo bars, my great-grandfather POP’s shortbread (from back when us Wilson’s lived in Scotland), my Granny’s ginger cookies, peppermint bark (the kids love this one, smashing the candies or canes is their favourite part), and of course Dimitri’s perfect pumpkin pie! Speaking of Dimitri’s baking skills, have you tried our SLOW RISE Christmas Stollen? Makes a great gift, just add handmade ornaments! Needle felting is addictive – I have even started doing it on my lunch break with co-workers at the office! The kids are happy to work quietly on their felting projects, turning local wool into ornaments, treasure pouches, lucky pocket talismans and little creatures of all description! 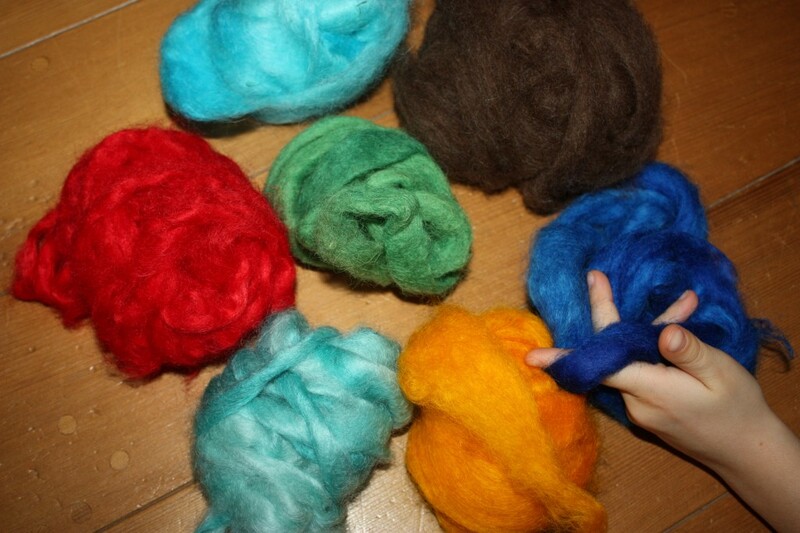 All this busy felting means we are running low on some roving colours. 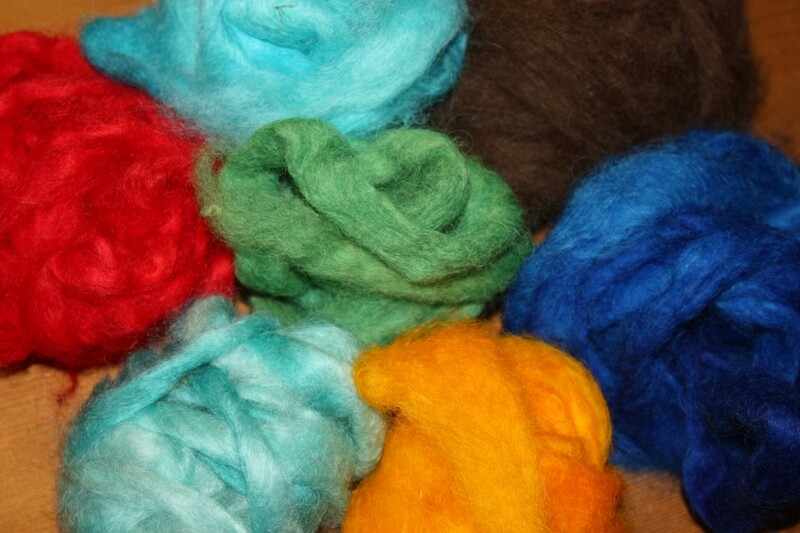 Lucky for me, my friend at Fiddlehead Farm is right around the corner with a rainbow of wool from her generous sheep. And lucky for us, there is a sheep named Margaret whose natural wool colour is the perfect shade for the reindeer and tree trunks my girls have been envisioning! I cannot show you the finished products (they are all surprises after all), but I can tell you that Pinterest is a great source for needle felting ideas and that kids do not need any inspiration at all…they amaze me with the designs their little fingers create! What holiday crafts are your fingers busy with these days? 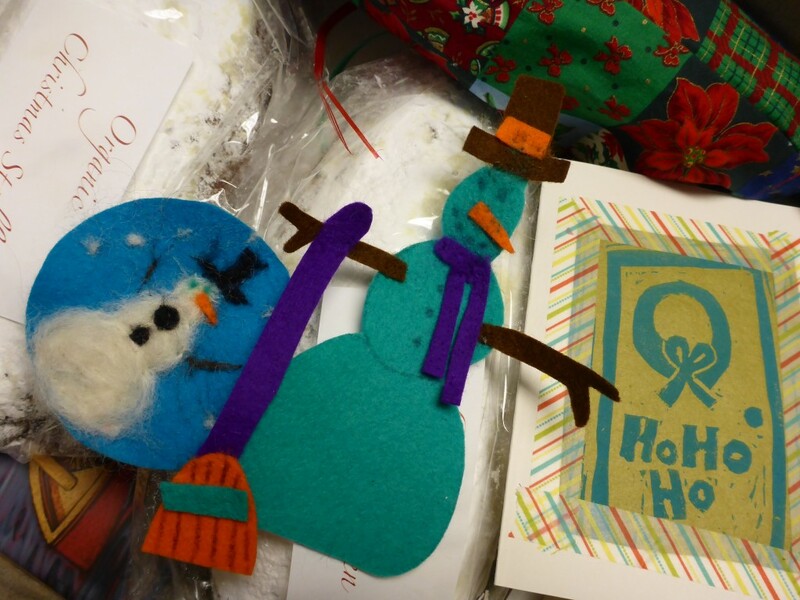 We have kicked off the holiday crafting! And in the best way – with a weekend sleepover of crafting with some dear friends (4 girls, 2 mamas and one helpful dad = craft central)! I cannot share photos of our secret gift projects, but I can tell you this – crafting with friends is a lot of fun and can be very productive (with time left over for feasts, pillow fights, treasure hunts and a musical)! I have three gifts for my girls well under way, Alex made something sweet for her big sister, gifts for the cousins are started and we have kicked off a needle-felting frenzy that will make many people happy! SO HAPPY! 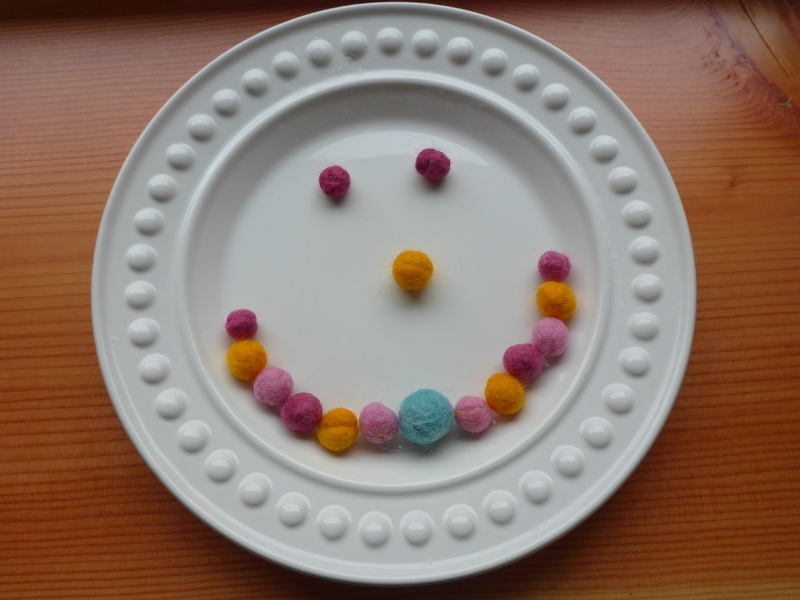 Best illustrated by these wet-felted beads that Raena decided to teach herself how to make…. 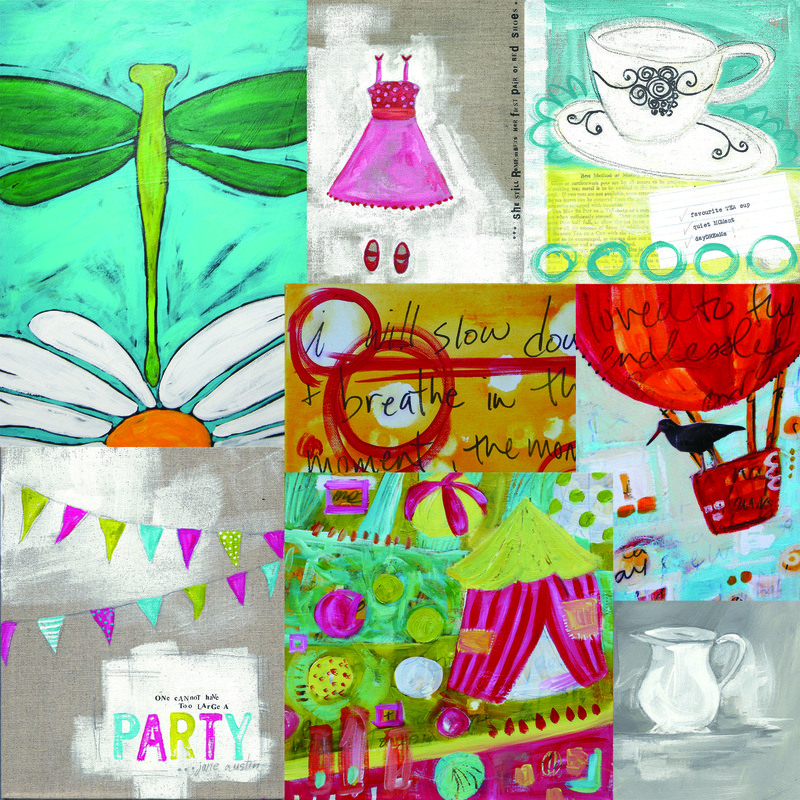 Hope you are finding time for some happy crafting too!